One of the ways I make my Thanksgiving dinner prep a little less stressful is to bake my pies the day before. I always make a couple of pies for our small family and one of them needs a pre-baked crust. 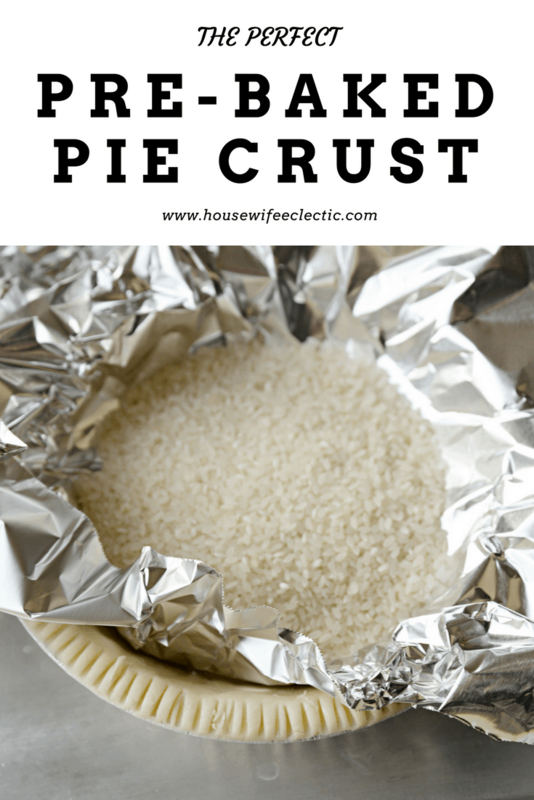 This is my absolute favorite recipe to use for pre-baked crust.This recipe makes two bottom crusts for pre-baking or one complete pie crust. Mix together the flour (minus the little extra), salt and sugar together. Cut the butter into small segments and add, mixing until the mixture resembles coarse meal. Add the water, one tbsp at a time until the dough holds together. Split the dough into two equal amounts. Knead gently to form two discs, don’t overwork the dough. Sprinkle each disc with flour and wrap in plastic. Place in the fridge for at least one hour. Pull out your discs and roll them out into crust. Press the dough gently, adding more flour if you need it, into a 9 inch pie plate. Trim the excess. Place the crust into the freezer for about 30 minutes. This will keep your crust from slipping down the sides. Preheat the oven to 350. 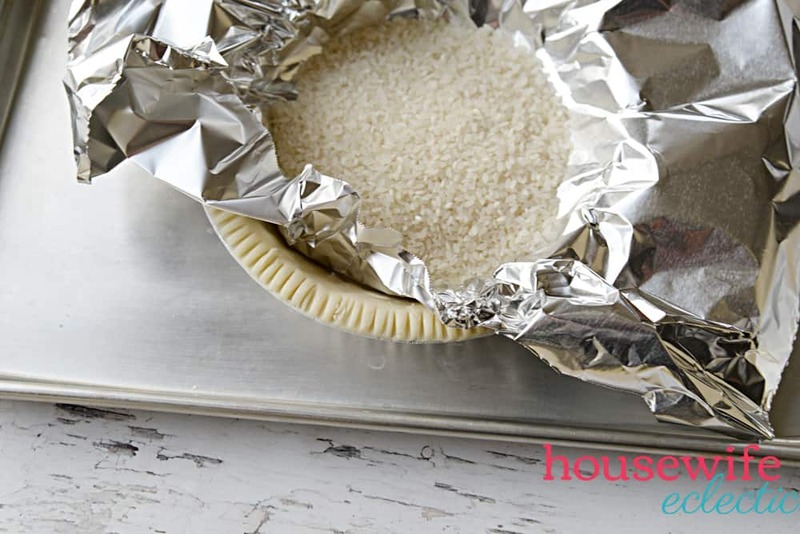 Line the pie crust with aluminium foil and fill with rice or beans to weight the crust down. Bake for 20 minutes. Carefully remove the aluminum foil and weights. Poke a few small holes in the bottom of your crust with a fork and then return it to the oven. Bake for 10 more minutes or until the crust is golden brown. Let the crust cool before you fill it with your favorites!